During October I trialled a few new skincare products I'm now ready to report back to you on! My skin is combination and I'd say my two main concerns are dullness and blemishes. This month I've tested products that claim to combat both of these issues. Luxsit isn't a brand I've tried before however I'm all for trying products that will help with breakouts, which seem to happen to me fairly inexplicably and usually overnight! This is a clear, cooling gel which absorbs pretty quickly so unlike most blemish treatments I've tried you can actually wear this during the day without it disrupting your makeup as well as overnight. It calms the initial redness and angriness of my breakouts overnight however I did continue to use it even when they stopped being active and noticed they weren't leaving marks as much as they usually do. I thought this might be a coincidence however when I started putting this post together I had a look at the ingredients and it actually contains many of the same ingredients as my favourite AHA products. So not only is this calming active breakouts, it's helping to deal with the after-effects like scarring. The packaging doesn't look like much but this is really travel-friendly and you only need a very small amount. I've been a little Pixi-mad recently but their skincare is just SO good I had to pick up a few more recent additions to their Glow range, as I'm a huge fan of the original Glow Tonic. This is the most recent skincare purchase in this post, however I still really wanted to tell you about it. This comes in a glass bottle with a dropper, which helps you control how much of the product comes out so nothing goes to waste. I take 2 drops and massage it into my skin before bed as my second-to-last step (followed by a night cream). It has a clear, surprisingly thick gel-like consistency, however I do find it sinks into the skin really quickly, which is always a plus in my books. The following morning I do notice my skin looks considerably brighter, fresher and more glowing than usual. I find it a little more dramatic in its results than the Glow Tonic, which is to be expected from something that's more like an overnight treatment. This gets a thumbs up from me so far! If you pick up one cleanser next month then make it this one; seriously, it's all I'd hoped the Oskia Renaissance Cleansing Gel would be and more (for £10 less!) The packaging really doesn't do it justice so if you can put that to one side, there's an amazing product in there. I take a Brazil nut-sized amount and massage it into my skin as my morning cleanser. It feels so beautiful and luxurious on the skin and it isn't harsh in the slightest. I usually wouldn't use an AHA-based product on a daily basis but this is so gentle, I actually do. Despite the mud aspect, it rinses off easily and my skin looks instantly glowing and feels softer. This has to be my favourite of all the products I've tried this month. I'd actually never tried this cult product, however this little Try Me bottle wasn't bad value at all (in terms of the price per ml in comparison to the standard size), so I thought I'd give it a go. It's essentially an acid toner to be used after cleansing. It's definitely the harshest AHA I've tried so if your skin is sensitive, I probably wouldn't recommend it. Personally I get sensitivity in specific areas (more so when it starts getting really cold), and it did sting in those places (mostly around my nose at the moment). However you really can't argue with the results, it's like my Pixi Glow Tonic on steroids! My skin is significantly more glowing and radiant after use, to a similar level as when using my REN Glycolactic Radiance Renewal Mask however this is a toner you can just pop on and not have to wait around with. I think overall I prefer a gentler formula, though I'm really glad I tried this product. Have you tried any of these products? What did you think of them? Are there any on your wish list? *DISCLOSURE - ITEMS MARKED WITH AN ASTERISK ARE PR SAMPLES/GIFTS. ALL OPINIONS ARE MY OWN.PLEASE VISIT MY DISCLOSURE PAGE FOR MORE INFORMATION. I really want to try the Pixi products, sound so refreshing! But I agree, the packaging is definitely a put off! 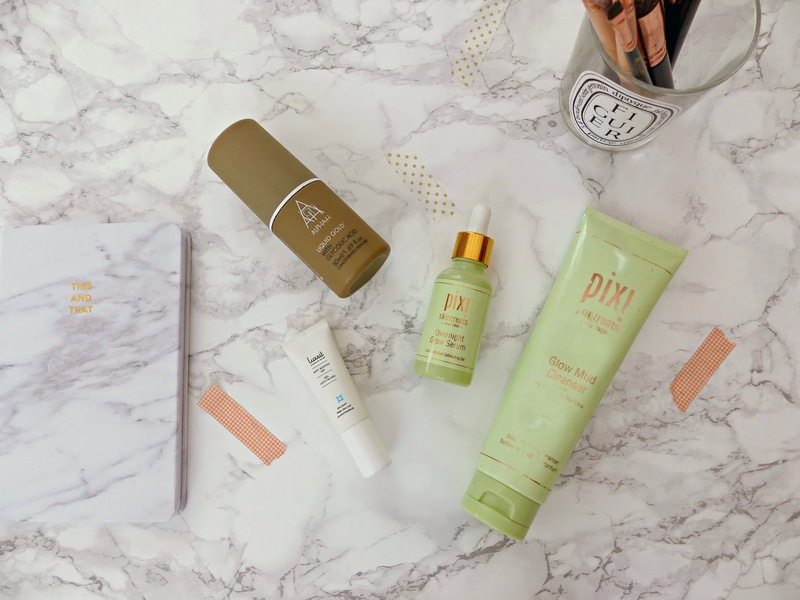 Liquid Gold and Glow tonic are two of my faves and now I am definitely wanting that Pixi serum! Pixi products are sounding better and better, I wonder whether I should get the Glow Tonic or the Glow Serum....? 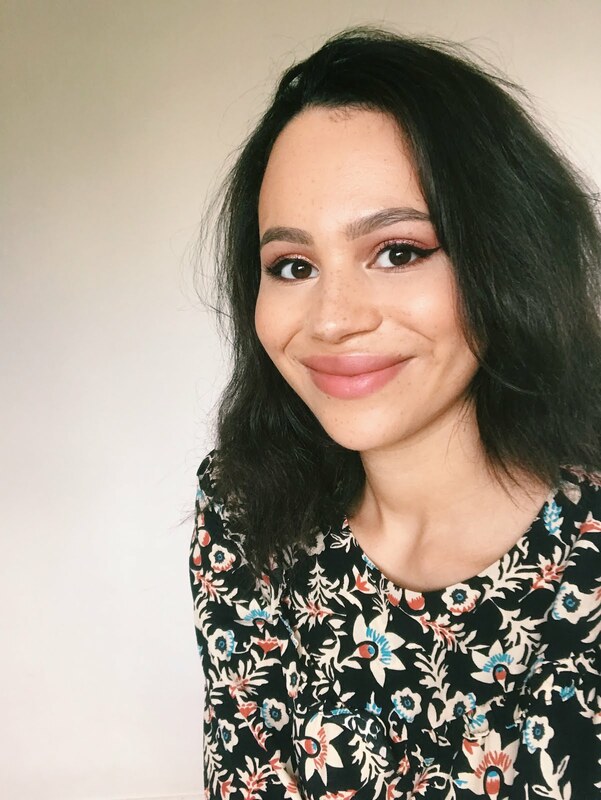 Hey gorgeous, lovely post as always! I've never actually used any Pixi skincare, the only product I have tried is their is their poreless primer which I've been loving! The glow mud cleanser sounds amazing, definitely add that to my try list! The Luxsit Anti-Blemish Gel sounds amazing, especially since it also helps with pigmentation and scaring. Thanks for reviewing these products for us and letting us know how they worked for you. Curious to get my hands on this Anti-Blemish Gel now. 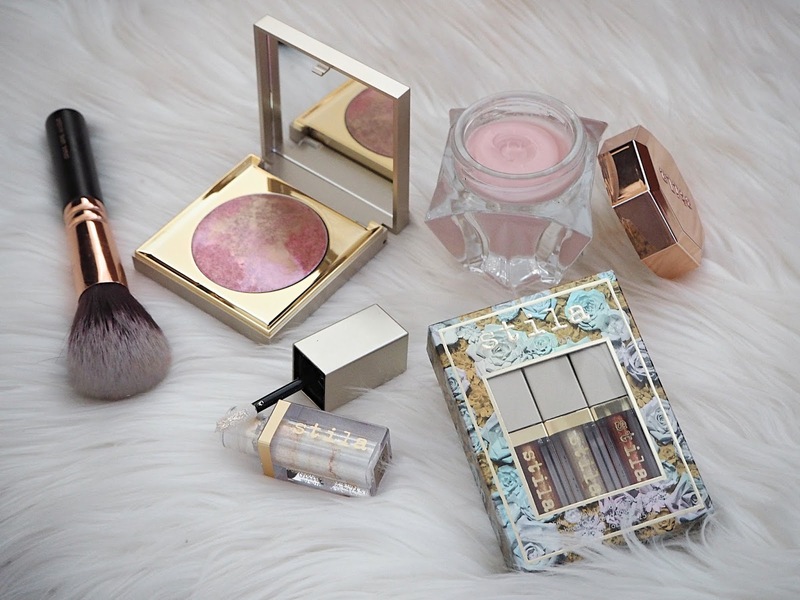 http://www.thegirlfromthenorth.com/ | An Amazing Giveaway Here!! I haven't tried any of their skincare products before but the mud cleanser seems like something I would like. Reminds me a bit of the glam glow cleanser. You've got me sold on the Pixi products! However, I think I'm the only person who doesn't mind their packaging! I also want to try the Alpha H Liquid Gold - they have an exfoliating moisturiser which I had a sample size of which was really good, but like you say, was harsher than I expected. Ah I wish you posted this earlier I was really looking for a good cleanser and ended up buying Neutrogena one which is ok, but this Pixi one really sounds amazing. Finally got my hands on the Glow tonic now will definitely be digging into their skincare line. Loved the post, thanks for all the amazing recommendations. Pixi just seems to have such good things. I need to try something from the range. I'm debating where to start. Any suggestions on where to begin with the range would be great!! I've used Alpha-H Liquid Gold Radiance and although it is harsh, I've hardly seen results like I did with that for my hyper pigmentation. Have tried their sunscreen and wasn't a fan but their exfoliating products are amazing.